Every year we host a huge independence day event! We'll start that evening off with inflatables and activities for kids, food vendors and family fun. As the sun sets, you and your family can enjoy a concert on the lawn by Ricky Skaggs, Mark Wills, and special guest Edward Graham COMPLETE with fireworks as the finale! Here at Rock Springs we care about people and our community, that’s why we offer events like this one. 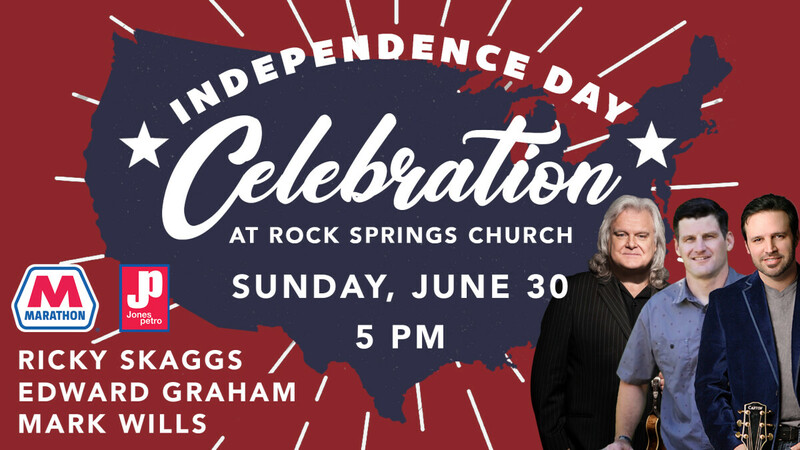 This event is absolutely FREE and open to the public, so be sure to mark your calendars and join us on June 30th for our Independence Day Celebration at Rock Springs.